Two nights ago my wife and were in the hotel sharing a room with my son. The last time this happened my son stayed up most the night since my wife and I couldn’t fall asleep early. So this time we both brought bluetooth headphones and were going to watch Netflix. Since my son was on the sofa bed, we could position the laptop to not keep him awake. We thought this was going to be an easy exercise, but it was harder than we thought. After 30-40 minutes we had the whole thing working. I thought I would write it up so no one else had to go through this. Most the discussions when you search for this in Google are on message boards with multiple links sending you somewhere else. Here are the steps that are required. In the Windows select both sets of your Bluetooth headphones (if they have microphones they will show up twice, Microphones have 1 channel, Headphones/Speakers have 2). Now you have everything configured you can right click your new multi-output device and select “use this device for sound output”. For immediate concern you should be all set. 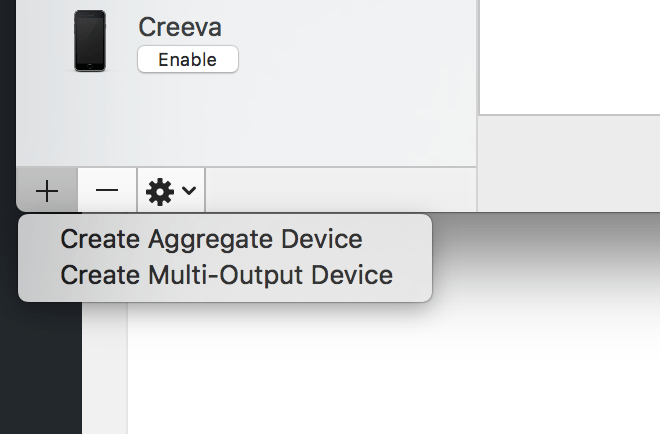 Under Output Devices you can see “Show Volume on the Menu Bar” at the bottom – enable this. On this screen you can also control different outputs switching between internal speakers and your new multi-output device. However, once you have the volume control in the Menu Bar – you can switch between different outputs quickly. They will show up underneath the volume control when you click the speaker. Airplay and other output devices will show up as selections. I’m just hoping for someone else this becomes a 5 minute fix instead of spending na hour clicking different links.